Nessel said she will work closely with her team on the 79 civil cases related to the Flint Water Crisis. Hammoud announced that Wayne County Prosecutor Kym L. Worthy and her office, at the request of AG Nessel, will be working in tandem with the Solicitor General to investigate and prosecute the Flint criminal cases. Todd Flood has been designated a Special Assistant Attorney General. “As the lead on the Flint Water Crisis criminal prosecutions, I am especially proud to be representing the people of Flint,” Hammoud said. “These cases are about the people of Flint, and they rightfully should be led by the people’s law firm. I am grateful to Attorney General Nessel for her thoughtful vision and leadership, and I believe she has positioned our teams well to see to it that justice is realized." Nessel said that with the agreement of and support from Eaton County Prosecutor Doug Lloyd her office is taking on the investigation of gymnastics coach John Geddert. Geddert founded Twistars, the gymnastics training center where Larry Nassar assaulted many of his victims. Danielle Hagaman-Clark, one of the state’s most prominent career sexual assault prosecutors, has been hired to lead the Geddert investigation. Hagaman-Clark will also be part of the investigative team working on the MSU and Catholic Church clergy abuse investigations. The state requested, has received and is reviewing documents related to former MSU trustee George Perles and the alleged forgiveness of his financial commitment in exchange for resigning from the board before the end of 2018. The office continues to work with the attorney for former interim president John Engler to schedule an interview with him. East Lansing District Court Judge Richard Ball has completed his review of privileged documents related to the AG’s investigation. Based on that review, it does not appear the Attorney General’s office will be getting any additional documents and MSU will be allowed to redact or withhold more than 6,000 documents from the AG’s investigation team. The Department of the Attorney General in coordination with the state Department of Licensing and Regulatory Affairs has served two MSU athletic trainers – Destiny Teachnor-Hauk and Liana Hadden – administrative complaints for giving false statements to investigators about their knowledge of sexual abuse of students by Larry Nassar. 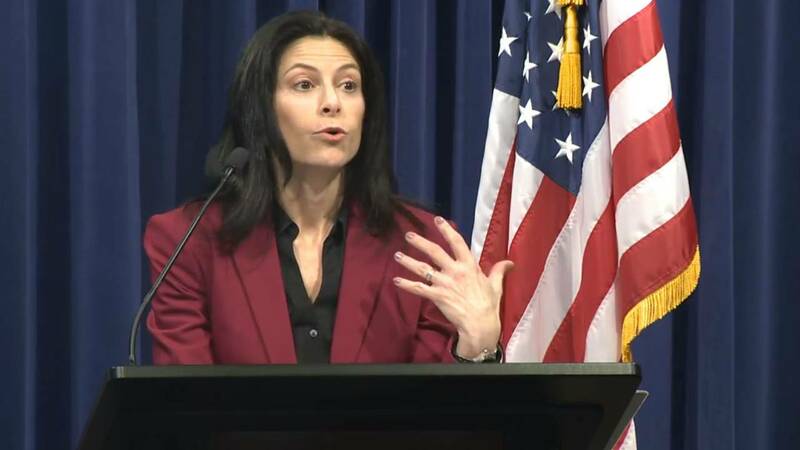 Nessel said that in tandem with the Michigan State Police, simultaneous raids were executed on all seven Michigan dioceses – Detroit, Saginaw, Lansing, Marquette, Gaylord, Kalamazoo and Grand Rapids. Hundreds of thousands of pages of documents were seized and are being reviewed. The investigative team is reviewing each of the more than 300 tips received. The Attorney General’s office has asked the dioceses to suspend their own internal review process until the state’s investigation is complete – and urged victims to report any suspected abuse to law enforcement officers rather than church officials on the state’s clergy abuse hotline at 844-324-3374 or online at www.michigan.gov/clergyabuse. Nessel also challenged the dioceses to set up a fund for victims to be administered by the Attorney General’s office so that victims may get the help needed for the trauma they experienced. "These investigations are complex and complicated, but we are committed to uncovering the truth and seeking justice for all the victims,” stated Col. Joseph Gasper, director of the Michigan State Police. “We take all leads and tips seriously, and I encourage anyone with information about these cases to contact law enforcement directly." "None of these investigations could happen without the outstanding support and expertise of the Michigan State Police and our team of career prosecutors and investigators,” Nessel added.